← Why TripAdvisors Say the Lake Oswego Farmers’ Market Is Not To Be Missed! Sometimes when I see how much Lake Oswego has to offer, I have to remind myself that Lake Oswego is a town of only 37,000 residents. 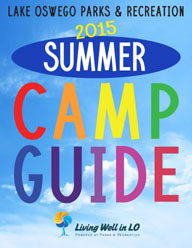 Looking at the Lake Oswego Parks and Recreation Summer Camp Guide is one of those times. Mind you, it’s a 12 page booklet, with 10 of those pages dedicated to camp descriptions for every age group from three year olds to seventeen year olds. And even though these programs don’t start for another month, some of them, like Lake Oswego Safety Town for preschoolers, are already full. 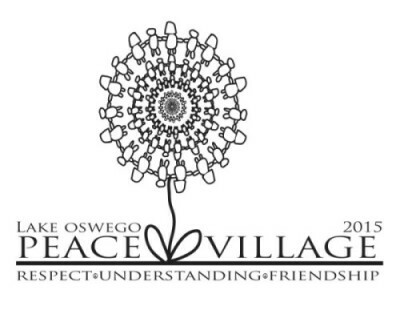 In addition, the Lake Oswego Rotary is sponsoring the first-in-the-country Peace Village week-long camp June 22-26 to teach students, ages 8-13, how to respect differences and resolve conflicts peacefully through a variety of classes and activities. And the Lakewood Center for the Arts has an impressive lineup of classes to get everyone’s creative juices flowing from four year olds to adults! If you haven’t had a chance to check these offerings out, let me give you a few of the highlights so you too can be impressed with what a town our size can offer. PEACE VILLAGE for ages 8 to 13 is aimed at equipping 60 students with the skills to resolve differences peacefully. Activities are centered around these four themes: Conflict Resolution, Being Smart with Social Media, Cultivating Inner Peace, and Connecting with Nature. June 22-26 at Lakeridge Junior High School. $175 fee but scholarships are available. Check out the daily schedule and registration form which is due May 25. LAKEWOOD CENTER FOR THE ARTS will keep your resident thespians inspired with programs like the six one week Kids Create-Summer Stars sessions for ages 4 through 7 beginning July 6 and running through August 14. New this summer is a Pre-Professional Musical Theatre Training Showcase for ages 14 through 19 that runs July 13-24. Auditions are required. And adults–there is something for you too in the Professional Actors Class from 7:00 p.m. to 9:00 p.m. July 8-August 26. Check the full schedule. ART CAMPS for ages 5 to 15 include a focus on Pop Art (for ages 10-15 the week of August 3) and Knitting (for ages 8 and up the week of August 10). DANCE AND MUSIC CAMPS for 5 to 15 year olds promise to get the good vibrations going with offerings that feature Recording and Music Technology, Drumming Madness and Girls Rock. MAD SCIENCE for kids 5 to 12 should appeal to the “how do things work” thinker in the family who’d like to build robots in Radical Robotics or turn ordinary LEGO vehicles into machines that move in Bashem Bots. TECH CAMPS for ages 10 to 17 feature three new themes: Web Design, Video Game Design, and Animation Studio. OUTDOOR CAMPS for 8 to 17 year olds offer a new twist to taking a hike with Advanced Survivor Camp for both ages 8 to 12 the week of July 13 and ages 10 to 14 the week of August 17; Stealth, Archery, Wilderness Survival for ages 7 to 11 on July 20-24; and a morning and afternoon session of Paintball Adventure for ages 12 to 17 the week of August 3. LUSHER FARM for kids 4 to 12 has returning favorites like Food Around the World for ages 5 to 12 the weeks of June 15 and July 27 as well as a new offering—Pioneer Camp for ages 7 to 12 the week of July 20. LAKE OSWEGO EXPLORERS for 7 to 12 year olds feature weekly themed camps that include two field trips and activities. Before and after care are available as well. Themes include Hogwartz Hallows and Excalibur’s Quest. TEEN SERVICE CORPS provides volunteer opportunities for teenagers 13 to 17 years old. The three day commitment includes two days of service and one day of adventure. Teens can help out at Ronald McDonald House and then go rock climbing at French’s Dome in July or clean up Canal Acres Park in Lake Oswego and finish up with white water rafting on the North Santiam River. SPORTS CAMPS for ages 6 to 15 include the new Summer Junior Golf four day camp for ages 6 to 13 that includes set-up, swing, etiquette, and an intro to foot golf. Popular offerings like Skateboarding for all levels return as well. SKYHAWKS SPORTS CAMPS for ages 3 to 12 cover all the basics including soccer, basketball, baseball, volleyball, flag football and boys lacrosse. Register online through Skyhawks. Lake Oswego has a lot to offer in the housing market too. Let me show you around. Just give me a call at 503.939.9801 or check out my website. This entry was posted in Lake Oswego Recreation, Things to Do in Lake Oswego and tagged Lake Oswego Oregon, Lake Oswego Parks and Recreation, Lake Oswego Summer Camps. Bookmark the permalink. Kevin, you did not mention our club’s camp project, LO Peace Village, which will take place June 22nd. http://www.lakeoswegopeacevillage.org . I alway enjoy reading your blog. Alan–Thanks for reminding me! Just added it to the post.